Bottled Up is Purdue's unofficial official NASCAR radio program and podcast! Listen in weekly as NASCAR credentialed journalist and host Jeff Maconi takes you through the latest in NASCAR news, rumors, and information every Saturday! Bottled Up Hosts: Kaz Grala! Bottled Up throws it back this week to New Hampshire Motor Speedway. Kaz is making his first start of the year in 2019 at Bristol, be sure to watch and cheer for him! Bottled Up 3/30/19: Where Are We Watching In 2020? Bottled Up 3/23/19: Who's Your King? Featuring: Richard Petty! On this episode of Bottled Up, the question plaguing NASCAR is answered: who's the real King? Featuring an interview with NASCAR legend Richard Petty! Bottled Up 3/16/19: Is The New Aero Package Here To Stay? Listen is this week as Bottled Up host Jeff Maconi talks the NASCAR Hall of Fame Class of 2020, Mike Stefanik, Whelen Modifieds, the new aero package, and more! Bottled Up 3/2/19: The REAL Aero Package, What Team Is Most Impressive? Join host Jeff Maconi as Bottled Up wraps up the biggest race in motorsports and moves on to the next big milestone: the new aero package at Atlanta! 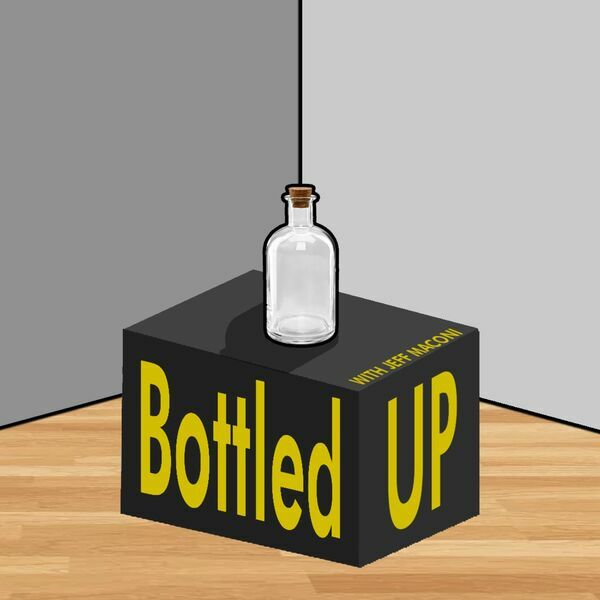 Bottled Up Hosts: Brandon Hightower! Bottled Up Hosts: Stephen Nasse, Again! For his second call-in appearance on the show, Stephen Nasse joins Bottled Up for another interview! Listen is as he talks about the upcoming season, online popularity, and more! Bottled Up Hosts: Anthony Alfredo! Bottled Up 1/5: New Year, Same Show! From the hauler drivers to Ross Chastain vs. Paul Menard, don't miss this week's episode of Bottled Up to ring in the new year! Bottled Up 12/22: Merry Christmas, And A Year In Review! Bottled Up Hosts: Landon Cassill! Listen in as Bottled Up hosts NASCAR driver and Twitter master Landon Cassill! Bottled Up Hosts: Matt Weaver! Bottled Up hosts esteemed racing journalist Matt Weaver, who discusses the Snowball Derby, the upcoming Snowflake 100, the future of racing, and more! Bottled Up Hosts: Stephen Nasse! Bottled Up 12/8: Where is NASCAR Headed? Bottled Up Hosts: Jeb Burton! Bottled Up Hosts: Natalie Decker! Bottled Up Hosts: Jeffrey Earnhardt! Bottled Up Hosts: Mitch Daniels! Listen in as Bottled Up hosts former governor, and current Purdue University President, Mitch Daniels. Bottled Up Hosts: Ray Evernham! Listen in as Bottled Up hosts NASCAR Hall of Fame member, NASCAR champion, and legendary crew chief, Ray Evernham! All content © 2019 Bottled Up on Wiley Radio.